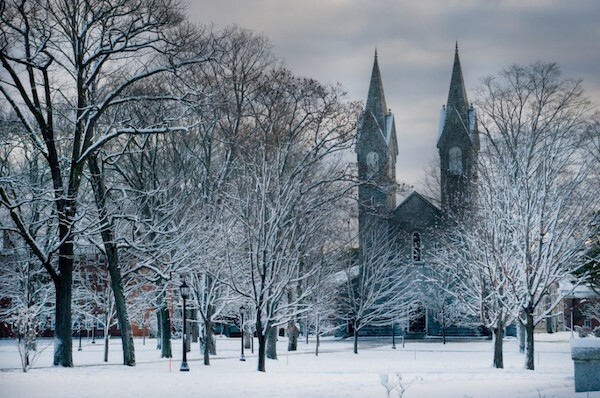 Bowdoin Campus. Enjoy a couple of miles on this pretty campus, right in the center of Brunswick. Can be combined with other area running. Brunswick Town Commons Trails. 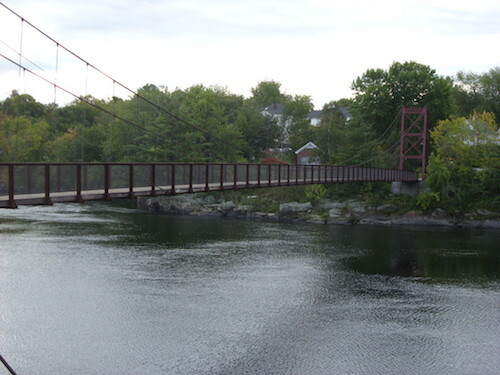 Nearly 1,000 acres and 6 miles of trails, right off the Bowdoin campus and heading as far as Middle Bay Road. Trail Map. Crystal Spring Farm. 3-4 miles of very pretty trails on this farm administered by the Brunswick-Topsham Land Trust, 3 miles south of downtown Brunswick. Note: Reserved for X-C skiing in winter. Trail Map. Pineland Farms. Inland from Yarmouth/Freeport/Brunswick, this 5,000 acre working farm is a great place for a destination run. 30 km of trails, with a wonderful combination of woods, fields, and farm buildings, on rolling terrain. Full info. Trail Map. Cliff Trail, Harpswell. More of a run/hike for trail runners, this 2.3 mile loop trail is a treat, combining woods with coastal views from 15-foot high cliffs. Located 9 miles south of downtown Brunswick. Footing can be a challenge. 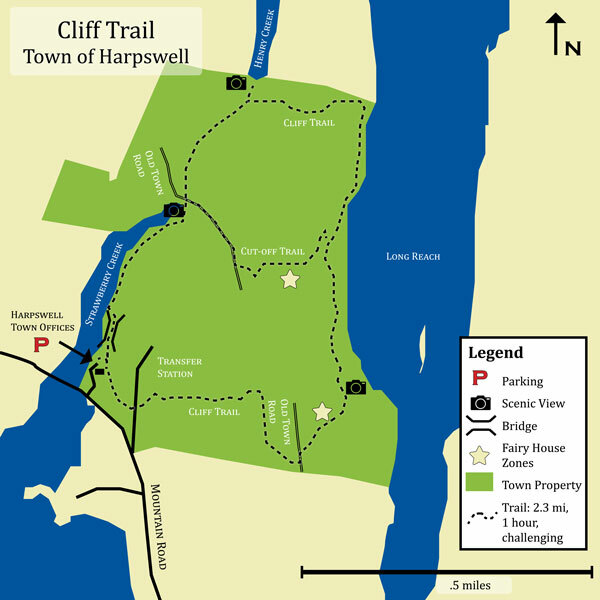 Trail Map.